The film opens in theatres across India this Friday, May 9. The screening of Amole Gupte's new film Hawaa Hawaai was recently held at Lightbox in Santa Cruz, a western Mumbai suburb. 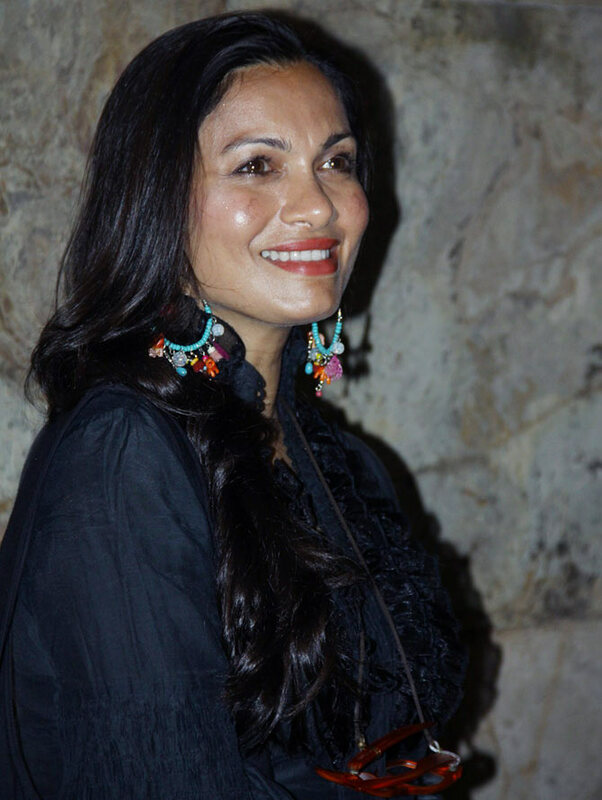 Several Bollywood stars turned up to catch the show before the film's theatrical release. Actress Aditi Rao Hydari arrives for the show. 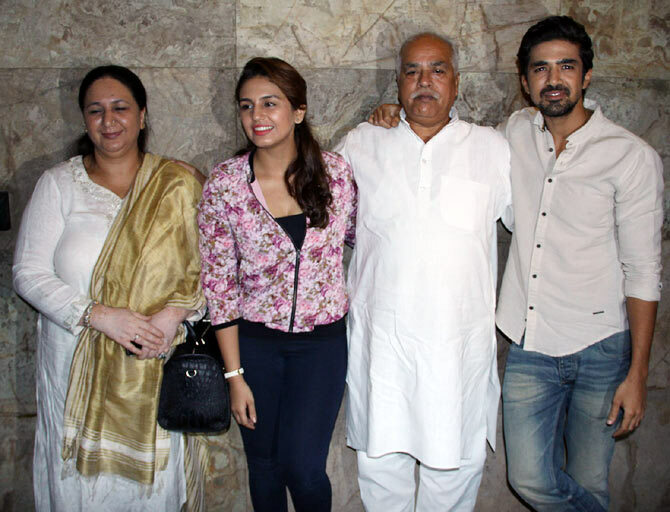 Saqib Saleem, who stars in the film along side Gupte's son Partho, arrived with actress sister Huma Qureshi and their parents. 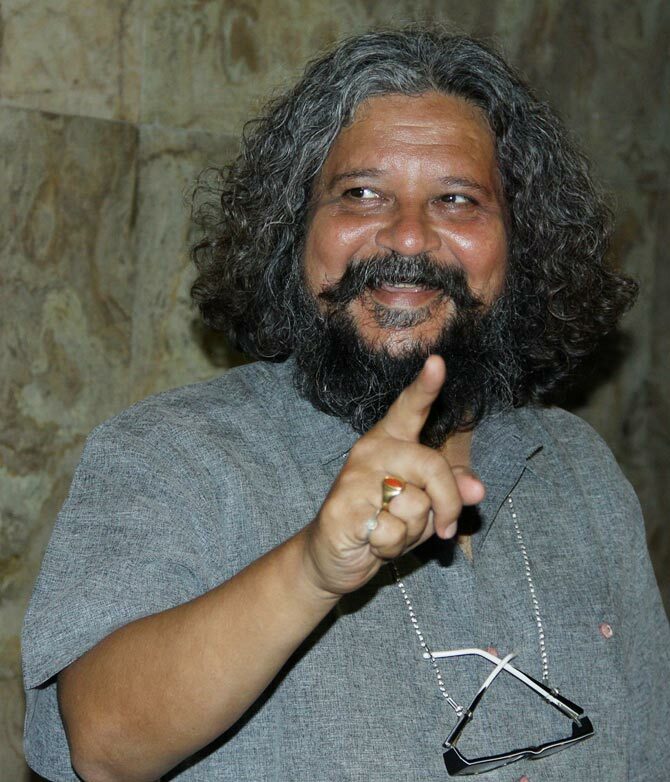 Writer-director Amole Gupte, photographed ahead of the show. Incidentally, Sridevi, who featured in the hit Mr India song Hawa Hawai, is believed to have done a cameo in Gupte's film of the same name. 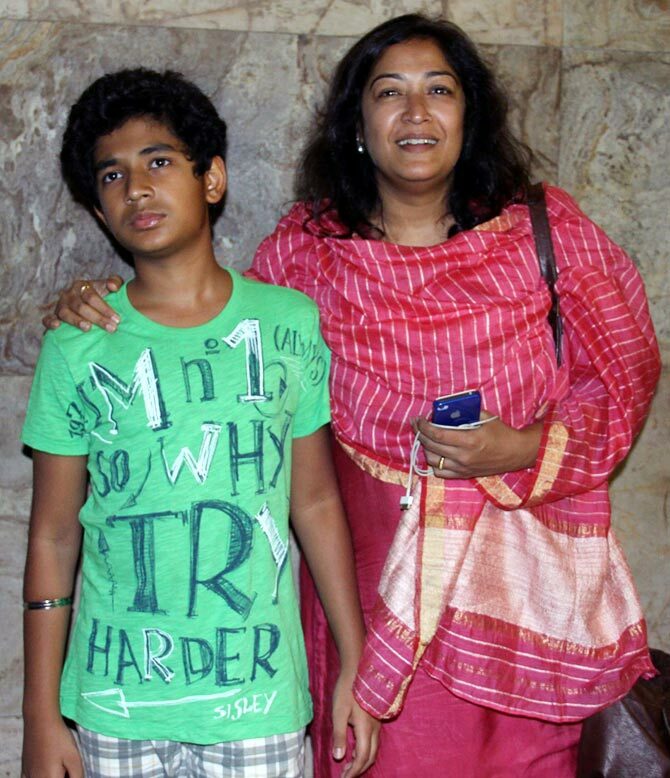 Partho Gupte, who was visibly unimpressed by the assembled shutterbugs, was spotted with film editor mum Deepa Bhatia. 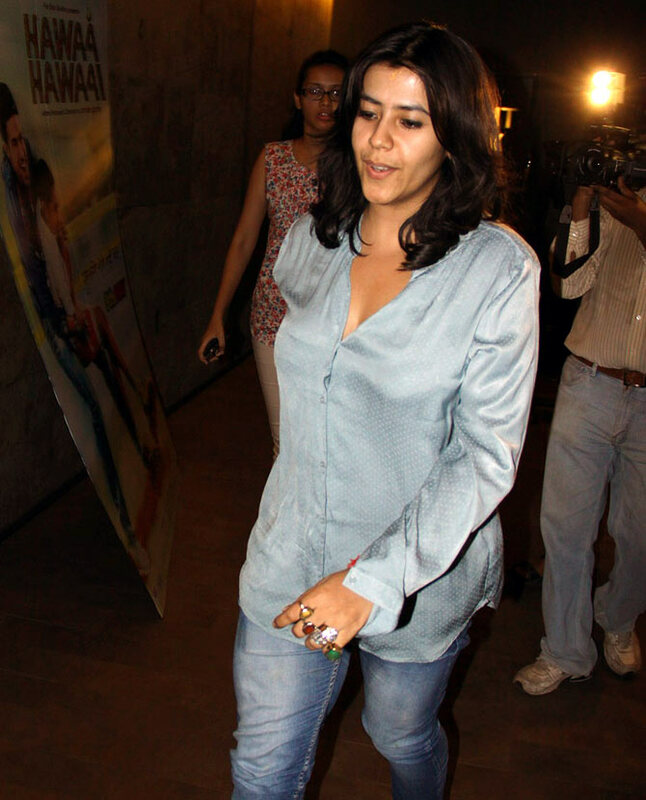 Film producer Ekta Kapoor was among the invited guests. 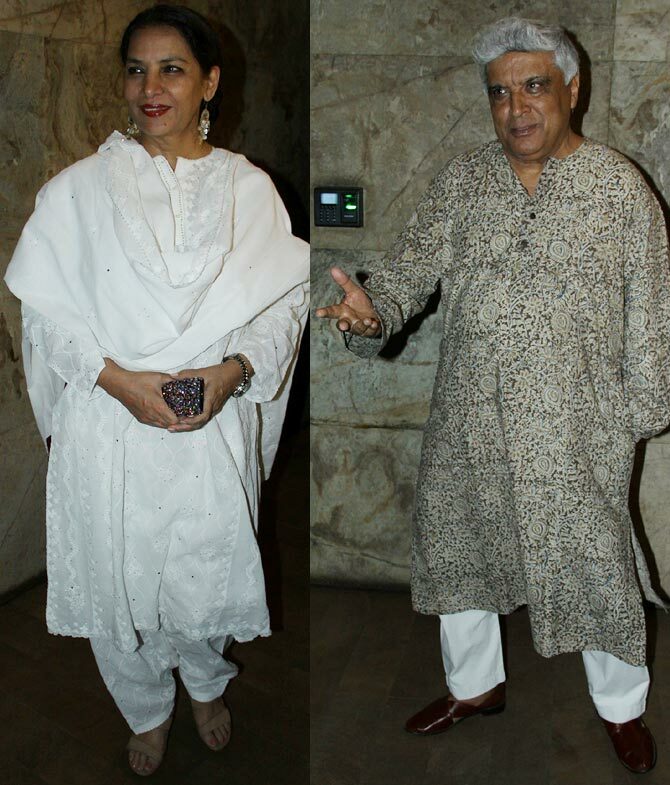 Shabana Azmi and Javed Akhtar were also spotted at Lightbox for the Hawaa Hawaai screening. Former veejay Maria Goretti smiles for the cameras. 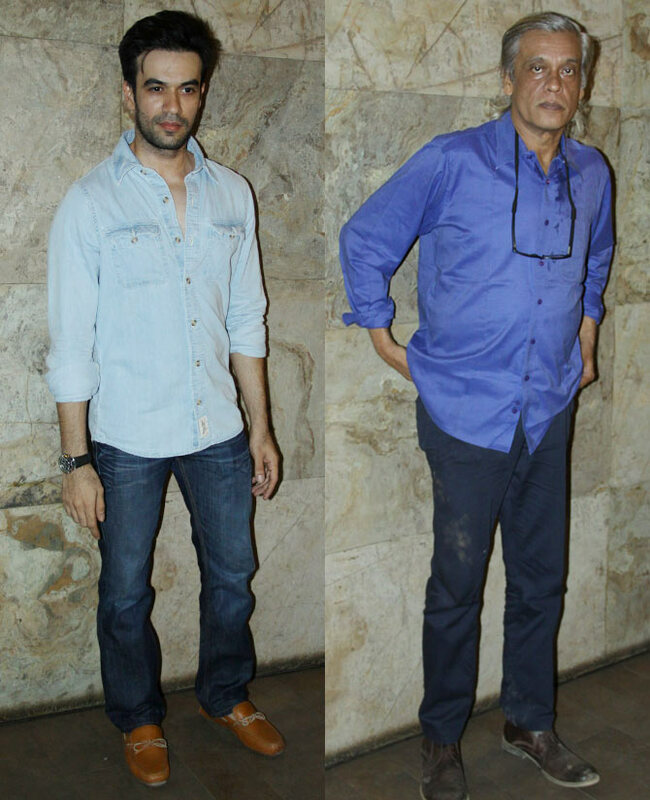 Gori Tere Pyar Mein director Punit Malhotra and director Sudhir Mishra arrive. 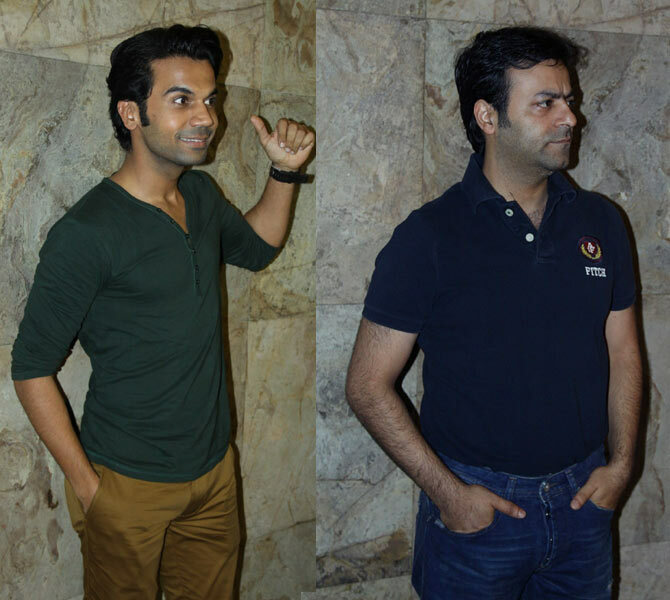 Dostana director Tarun Mansukhani and Shahid's National Award-winning lead star Rajkummar Rao were also present. Mansukhani tweeted after watching the film, 'Just watched Hawa Hawai! One of the most heart warming films. @Saqibsaleem gives another amazing performance. So proud of him! Another brilliant actor in the film is Neha Joshi!! Rajkummar Rao's City Lights costar Patralekha was also spotted. Have you ever met Rajinikanth? TELL US!